The post Sustainable and Eco-Friendly Brands Gather for a Weekend at this Zero-Waste Pop Up Market appeared first on When In Manila. 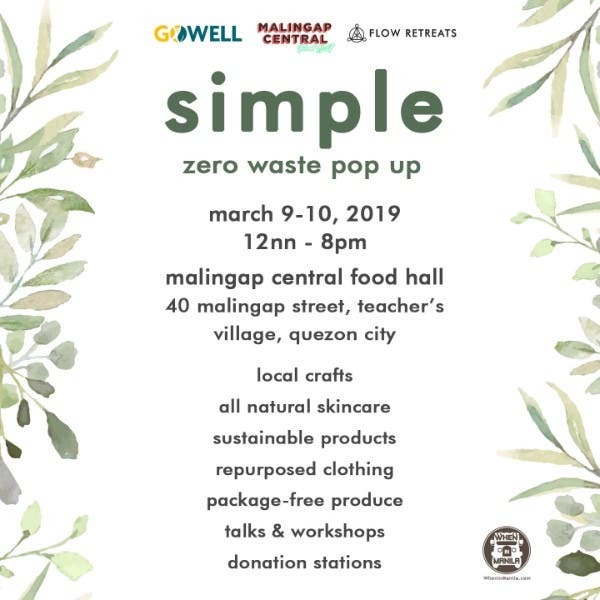 Simple: Zero Waste Pop Up is a gathering of natural and eco-friendly brands, reusable products, healthy food, toxin-free goods, speakers and zero waste warriors to help you in your pursuit to a sustainable lifestyle! This community market is happening on March 9 and 10, from 12 noon to 8 pm at Malingap Central Food Hall, 40 Malingap St. Teacher’s Village, Quezon City. 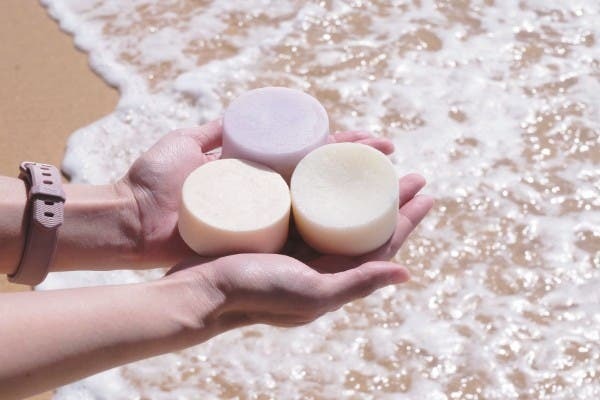 Find package-free personal care products such as shampoo bars, handcrafted soaps, reef-safe sunscreen and lotions bars you will need for all your trips planned this summer. Shop reusable utensil kits, bamboo, stainless steel or glass straws and tumblers. Bring your empty containers and fill them up with grains, nuts, cookies and granola. Peruse through local and traditional handloomed weaves and crafts. There will also be a lineup of workshops on zero-waste crafts, sustainable self-care and art workshops. So ready your eco bags, utensils and reusable containers, take your family and friends to discover new ways to live, shop and eat more sustainably! First 10 shoppers get a free gift!